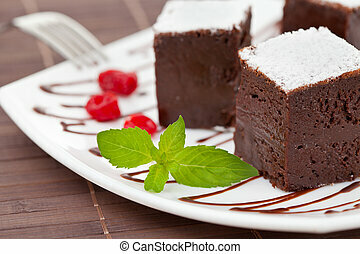 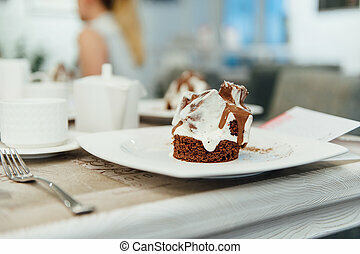 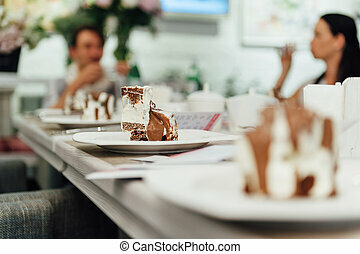 Sweet chocolate cake on table. 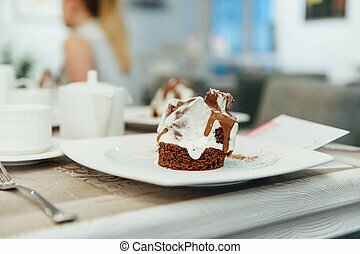 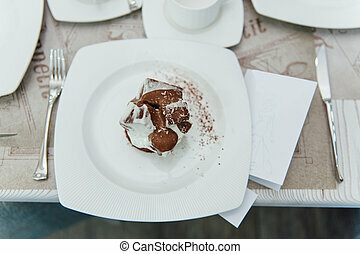 chocolate almond cake on table. 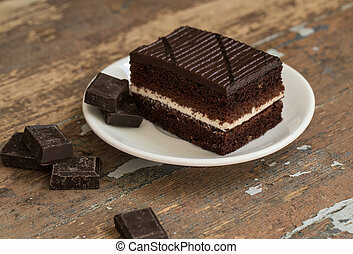 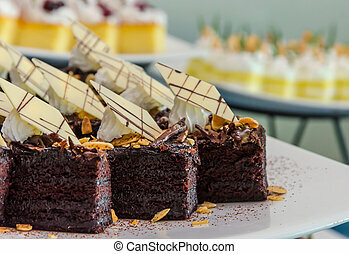 chocolate cake on wooden table. 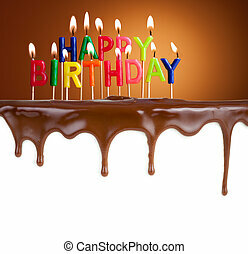 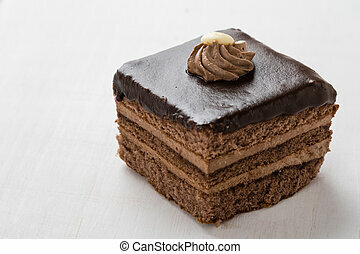 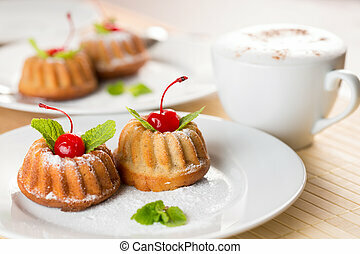 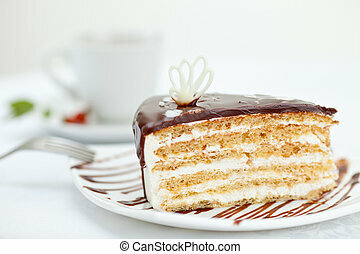 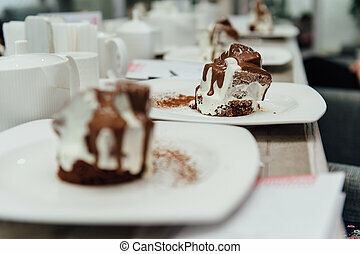 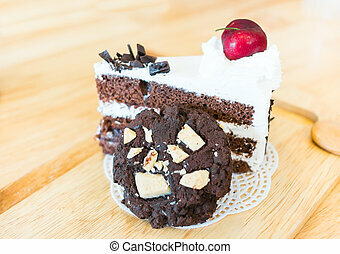 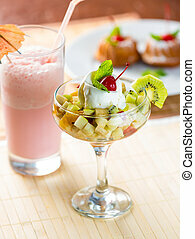 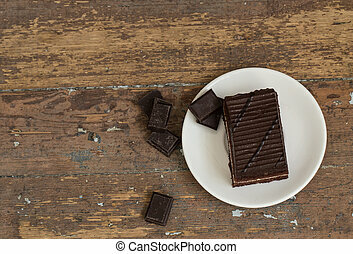 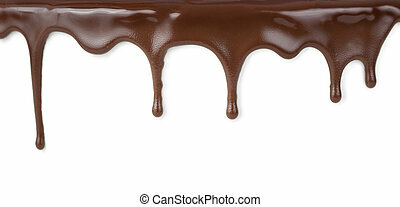 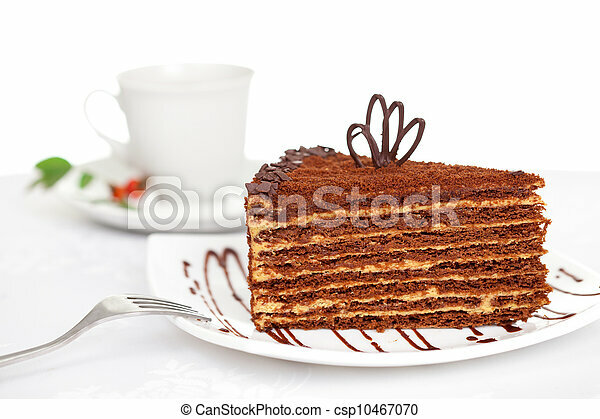 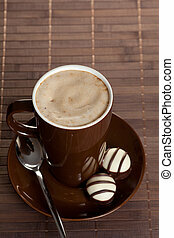 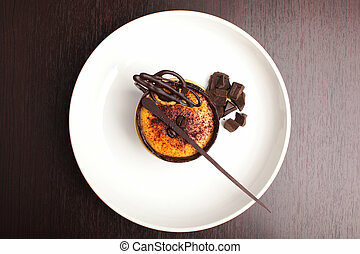 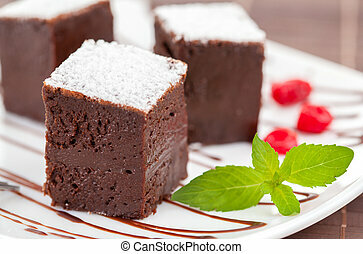 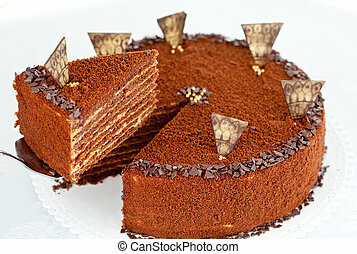 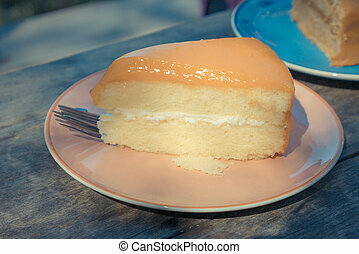 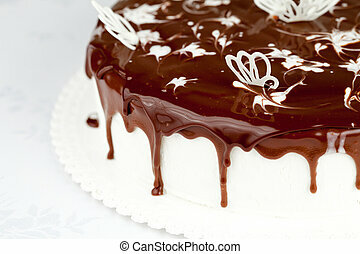 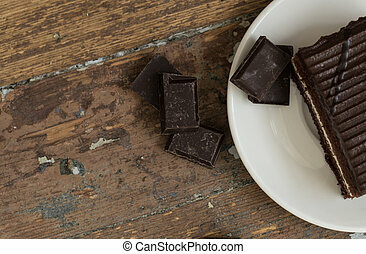 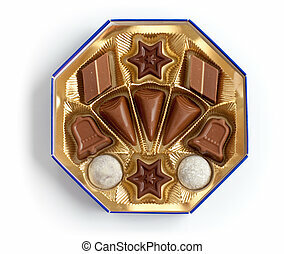 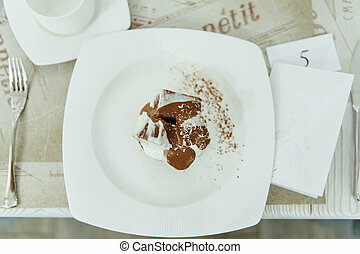 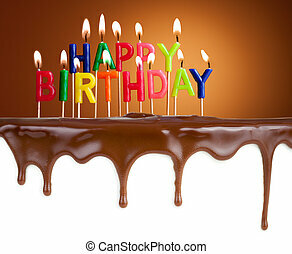 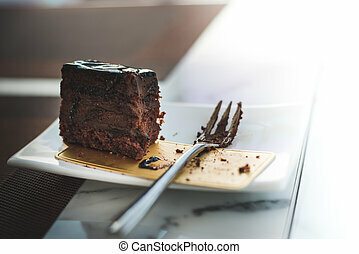 liquid chocolate dripping from cake on white background with clipping path included. 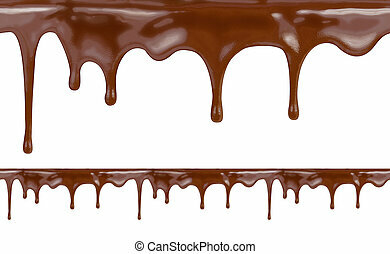 High resolution illustration.